1. Cream together the shortening, sugar, molasses, and honey in a bowl with an electric mixer. Add the egg yolks and mix well. 2. Sift together the flour, baking soda, baking powder, salt, and spices; stir into the shortening mixture. Wrap the dough in plastic and chill well. 3. Roll out dough on a lightly floured surface to 1/4-inch thickness. Cut out shapes with Christmas tree and/or other holiday cookie cutters; transfer to lightly greased baking sheets. 4. Preheat oven to 350°F. Bake cookies for 8 to 10 minutes. (Do not overbake.) Let the cookies cool on the baking sheets until they are firm, then transfer to a rack to cool completely. 5. Beat confectioners' sugar, butter, milk, and vanilla until smooth, adding more sugar or milk as needed. If desired, divide icing among smaller bowls and tint with different food colorings. Decorate cookies with colored icings and sugars. Whisk together flour and salt in a bowl. Beat together butter and cream cheese in a large bowl with an electric mixer until combined well. Add flour mixture and stir with a wooden spoon until a soft dough forms. Gather dough into a ball and wrap in plastic wrap, then flatten (in wrap) into a roughly 7- by 5-inch rectangle. Chill until firm, 8 to 24 hours. Cut dough into 4 pieces. Chill 3 pieces, wrapped in plastic wrap, and roll out remaining piece into a 12- by 8-inch rectangle on a well-floured surface with a floured rolling pin. Transfer dough to a sheet of parchment, then transfer to a tray and chill while rolling out remaining dough in same manner, transferring each to another sheet of parchment and stacking on tray. Whisk 1/2 cup sugar with cinnamon. Arrange 1 dough rectangle on work surface with a long side nearest you. Spread 1/4 cup preserves evenly over dough with offset spatula. Sprinkle 1/4 cup raisins and a rounded 1/4 cup walnuts over jam, then sprinkle with 2 tablespoons cinnamon sugar. Bake until golden, 45 to 50 minutes. Cool to warm in pan on a rack, about 30 minutes, then transfer logs to a cutting board and slice cookies all the way through. Directions: Mix the two ingredients together. Don't add anything else that may be mentioned on the box, such as eggs, oil, or water. The mixture will be very thick and you will be tempted to add in other things to make the batter smoother. DO NOT DO THIS AS IT WILL RUIN EVERYTHING! Place batter into muffin tins (or mini muffin tins) lined with paper, or sprayed with non-stick spray. Bake at 400 degrees for 20 minutes. Makes 12 regular or 36 mini muffins. Found here. Bonus: Is a WeightWatchers recipe. I have found you can add some other ingredients. So far I've tried some coffee and powdered ginger. Might try nuts. 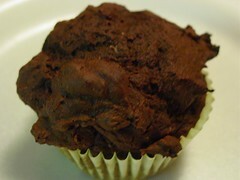 Even if you're not trying to be "healthy" this is a fudgy, not too sweet treat that is super yummy and dangerously easy. The texture of these sweet butter cookies is ultra-crisp, crisper than any cookie you've baked before. Unless, that is, you already know about the cookie-baker's secret weapon: baker's ammonia, or ammonium carbonate. This old-fashioned leavener, originally called hartshorn (because it was ground from deer antlers), gives cookies a snapping-crisp, extra-light texture that's indescribable, until you experience it yourself. The closest comparison might be a Pepperidge Farm Bordeaux cookie, if you're familiar with that treat. If you don't have baker's ammonia, use baking powder; just be aware that though the cookies will taste good, their texture won't be nearly the same. This dough comes together quickly and easily, and the cookies lend themselves admirably to all kinds of sugar decorations. They're pretty, they keep well, and like your basic black dress, they go with everything, making them a perfect addition to your holiday cookie gift plate. *If you use salted butter, reduce the salt to 1/2 teaspoon. In a medium-sized bowl, beat together the sugar, butter, salt, vanilla, and orange or lemon extract. Add the flour and baker's ammonia, and beat until the dough comes together, scraping the bowl once; it'll seem quite dry at first, but keep beating, eventually it'll become chunky and cohesive. Scoop the dough by teaspoonfuls (a teaspoon cookie scoop works wonderfully well here) into the bowls of decorations. Roll the dough balls in the sugar to coat. Put them on the prepared baking sheets, and use the bottom of a glass, dipped in sugar if necessary to prevent sticking, to flatten the balls to about 1/4-inch thick. Bake the cookies for about 20 to 25 minutes, until they're a very light golden brown around the edges. Remove them from the oven, and transfer them to a rack to cool. Yield: 4 dozen cookies. 1. FOR THE CAKE: Adjust oven rack to middle position; heat oven to 350 degrees. Grease two 9-inch-round by 2-inch-high cake pans with softened butter; dust pans with flour and knock out excess. Combine chocolate, cocoa powder, and hot water in medium heatproof bowl; set bowl over saucepan containing 1 inch of simmering water and stir with rubber spatula until chocolate is melted, about 2 minutes. 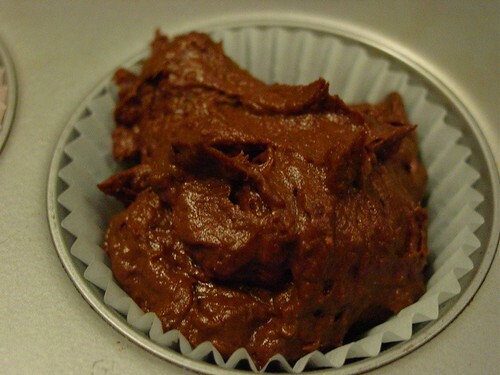 Add 1/2 cup sugar to chocolate mixture and stir until thick and glossy, 1 to 2 minutes. Remove bowl from heat and set aside to cool. 2. Whisk flour, baking soda, and salt in medium bowl. Combine buttermilk and vanilla in small bowl. In bowl of standing mixer fitted with whisk attachment, whisk eggs and yolks on medium-low speed until combined, about 10 seconds. Add remaining 1 1/4 cups sugar, increase speed to high, and whisk until fluffy and lightened in color, 2 to 3 minutes. Replace whisk with paddle attachment. Add cooled chocolate mixture to egg/sugar mixture and mix on medium speed until thoroughly incorporated, 30 to 45 seconds, pausing to scrape down sides of bowl with rubber spatula as needed. Add softened butter one tablespoon at a time, mixing about 10 seconds after each addition. Add about one-third of flour mixture followed by half of buttermilk mixture, mixing until incorporated after each addition (about 15 seconds). Repeat using half of remaining flour mixture and all of remaining buttermilk mixture (batter may appear separated). Scrape down sides of bowl and add remaining flour mixture; mix at medium-low speed until batter is thoroughly combined, about 15 seconds. Remove bowl from mixer and fold batter once or twice with rubber spatula to incorporate any remaining flour. Divide batter evenly between prepared cake pans; smooth batter to edges of pan with spatula. 3. Bake cakes until toothpick inserted into center comes out with a few crumbs attached, 25 to 30 minutes. Cool cakes in pans 15 minutes, then invert onto wire rack. Cool cakes to room temperature before frosting, 45 to 60 minutes. 4. TO MAKE FROSTING: Melt chocolate in heatproof bowl set over saucepan containing 1 inch of barely simmering water, stirring occasionally until smooth. Remove from heat and set aside. Meanwhile, heat butter in small saucepan over medium-low heat until melted. Increase heat to medium; add sugar, corn syrup, vanilla, and salt and stir with heatproof rubber spatula until sugar is dissolved, 4 to 5 minutes. Add melted chocolate, butter mixture, and cream to clean bowl of standing mixer and stir to thoroughly combine. 5. Place mixer bowl over ice bath and stir mixture constantly with rubber spatula until frosting is thick and just beginning to harden against sides of bowl, 1 to 2 minutes (frosting should be 70 degrees). Place bowl on standing mixer fitted with paddle attachment and beat on medium-high speed until frosting is light and fluffy, 1 to 2 minutes. Stir with rubber spatula until completely smooth. 6. TO FROST CAKE: Place one cake layer on serving platter or cardboard round. Spread 1 1/2 cups frosting evenly across top of cake with spatula. Place second cake layer on top, then spread remaining frosting evenly over top and sides of cake. Cut into slices and serve. Put the mashed sweet potatoes in a large bowl. Stir in the melted butter. taste with salt and pepper. Divide the mixture evenly among the ramekins. the ramekins, dividing the evenly among them. immediately. Serves 6 - 8. In a heavy 2 quart saucepan, over medium heat, bring to a boil, sugar, corn syrup, salt, and water. Stir until sugar is dissolved. Stir in peanuts. Set candy thermometer in place and continue cooking. Stir frequently until temperature reaches 300 degrees F (150 degrees C), or until a small amount of mixture dropped into very cold water separates into hard and brittle threads. Remove from heat; immediately stir in butter or margarine and baking soda; pour at once onto cookie sheet. With 2 forks, lift and pull peanut mixture into rectangle about 14x12 inches; cool. Snap candy into pieces. Also fabulous with cashews and almonds. Made this for gifts last year around the holidays. Appeared to be a hit. (found at allrecipes). I've always found historic cooking, recipes, etc sorta neat and interesting. Found some cool links on the subject here. 1. Clean mushrooms from any dirt, but do not wash in water. Remove stems from mushrooms. Chop stems. Set aside. 3. Once cool, mix with breadcrumbs, egg and cheese. 4. Stuff mushrooms full of the mixture. 6. Sprinkle with extra Parmesan. The ones I made on Saturday didn't have the egg in them (I think that's why the stuffing started to fall apart a little, although it wasn't too bad). I also put the goat's cheese in the base of the mushroom and then added the stuffing on top of that. I suppose another option would be to mix the goat cheese in with the stuffing mixture.